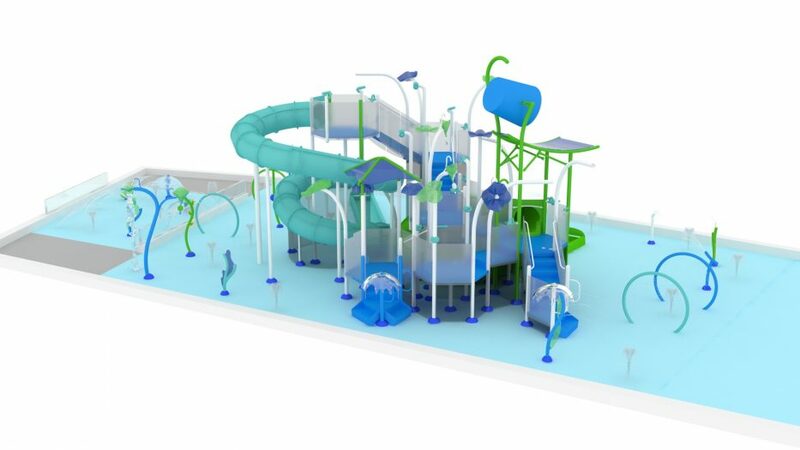 Located in Christchurch, New Zealand, this wet play structure will be included as part of a leisure pool area in the newly-developed Metro Sports Facility, a world-class community amenity offering residents a wide range of athletic facilities. 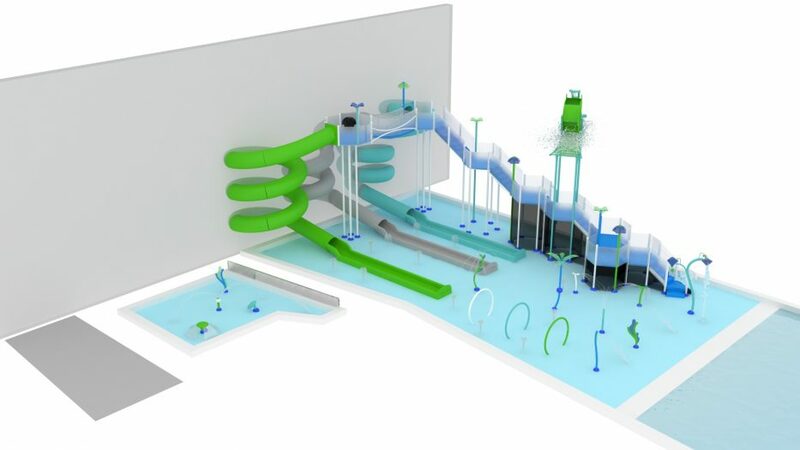 This design concept offers distinct areas for the youngest children to interact with water through splashing deck jets and larger water cannons and spraying loops. Older kids can climb the wet play structure for various spray elements, a huge dump bucket and multiple slides at varying heights. 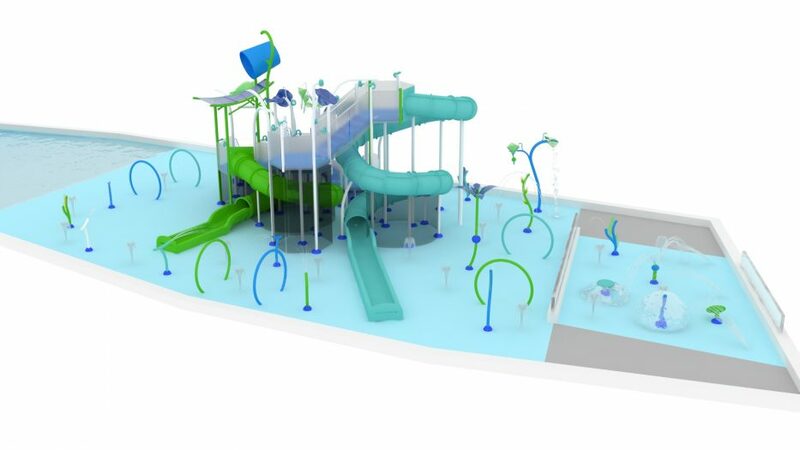 For this project’s splash park and interactive water feature, ADE provided the hydraulic, structural, filtration, and chemical system design and engineering services.